Federal Student Aid, Department of Education. Catalog of Federal Domestic Assistance (CFDA) Numbers: 84.007 FSEOG Program; 84.033 FWS Program; 84.063 Pell Grant Program; 84.268 Direct Loan Program; 84.379 TEACH Grant Program; 84.408 Iraq and Afghanistan Service Grant Program. The Secretary announces deadline dates for the receipt of documents and other information from applicants and institutions participating in certain Federal student aid programs authorized under title IV of the Higher Education Act of 1965, as amended (HEA), for the 2018-2019 award year. 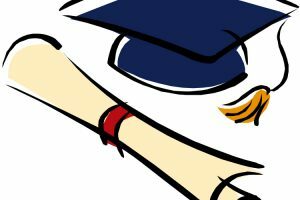 These programs, administered by the U.S. Department of Education (Department), provide financial assistance to students attending eligible postsecondary educational institutions to help them pay their educational costs. The Federal student aid programs (title IV, HEA programs) covered by this deadline date notice are the Pell Grant, Direct Loan, TEACH Grant, Iraq and Afghanistan Service Grant, and campus-based (FSEOG and FWS) programs. Deadline and Submission Dates: See Tables A and B at the end of this notice. Bruce Hughes, U.S. Department of Education, Federal Student Aid, 830 First Street NE, Union Center Plaza, 11th Floor, Washington, DC 20202-5345. Telephone: (202) 377-3882. Email: Bruce.Hughes@ed.gov. If you use a telecommunications device for the deaf (TDD) or a text telephone (TTY), call the Federal Relay Service, toll free, at 1-800-877-8339. Table A—2018-2019 Award Year Deadline Dates by Which a Student Must Submit the FAFSA, by Which the Institution Must Receive the Student’s Institutional Student Information Record (ISIR) or Student Aid Report (SAR), and by Which the Institution Must Submit Verification Outcomes for Certain Students. Table A provides information and deadline dates for receipt of the FAFSA, corrections to and signatures for the FAFSA, ISIRs, and SARs, and verification documents. The deadline date for the receipt of a FAFSA by the Department’s Central Processing System is June 30, 2019, regardless of the method that the applicant uses to submit the FAFSA. The deadline date for the receipt of a signature page for the FAFSA (if required), corrections, notices of change of address or institution, or requests for a duplicate SAR is September 14, 2019. For all title IV, HEA programs, an ISIR or SAR for the student must be received by the institution no later than the student’s last date of enrollment for the 2018-2019 award year or September 21, 2019, whichever is earlier. Note that a FAFSA must be submitted and an ISIR or SAR received for the dependent student for whom a parent is applying for a Direct PLUS Loan. Except for students selected for Verification Tracking Groups V4 and V5, verification documents must be received by the institution no later than 120 days after the student’s last date of enrollment for the 2018-2019 award year or September 21, 2019, whichever is earlier. For students selected for Verification Tracking Groups V4 and V5, institutions must submit identity and high school completion status verification results no later than 60 days following the institution’s first request to the student to submit the documentation. For all title IV, HEA programs except for (1) Direct PLUS Loans that will be made to parent borrowers, and (2) Direct Unsubsidized Loans that will be made to dependent students who have been determined by the institution, pursuant to section 479A(a) of the HEA, to be eligible for such a loan without providing parental information on the FAFSA, the ISIR or SAR must have an official expected family contribution (EFC) and the ISIR or SAR must be received by the institution no later than the earlier of the student’s last date of enrollment for the 2018-2019 award year or September 21, 2019. For the two exceptions mentioned above, the ISIR or SAR must be received by the institution by the same dates noted in the paragraph but the ISIR or SAR is not required to have an official EFC. For a student who is requesting aid through the Pell Grant, FSEOG, or FWS Start Printed Page 62564programs or for a student requesting Direct Subsidized Loans, who does not meet the conditions for a late disbursement under 34 CFR 668.164(j), a valid ISIR or valid SAR must be received by the institution by the student’s last date of enrollment for the 2018-2019 award year or September 21, 2019, whichever is earlier. In accordance with 34 CFR 668.164(j)(4)(i), an institution may not make a late disbursement of title IV, HEA program funds later than 180 days after the date of the institution’s determination that the student was no longer enrolled. 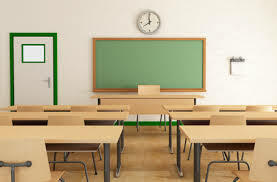 Table A provides that, to make a late disbursement of title IV, HEA program funds, an institution must receive a valid ISIR or valid SAR no later than 180 days after its determination that the student was no longer enrolled, but not later than September 21, 2019. Table B—2018-2019 Award Year Pell Grant, Iraq and Afghanistan Service Grant, Direct Loan, and TEACH Grant Programs Deadline Dates for Disbursement by Institutions. For the Pell Grant, Iraq and Afghanistan Service Grant, Direct Loan, and TEACH Grant programs, Table B provides the earliest disbursement date, the earliest dates for institutions to submit disbursement records to the Department’s Common Origination and Disbursement (COD) System, and deadline dates by which institutions must submit disbursement and origination records. An institution must submit Pell Grant, Iraq and Afghanistan Service Grant, Direct Loan, and TEACH Grant disbursement records to COD, no later than 15 days after making the disbursement or becoming aware of the need to adjust a previously reported disbursement. In accordance with 34 CFR 668.164(a), title IV, HEA program funds are disbursed on the date that the institution: (a) Credits those funds to a student’s account in the institution’s general ledger or any subledger of the general ledger; or (b) pays those funds to a student directly. Title IV, HEA program funds are disbursed even if an institution uses its own funds in advance of receiving program funds from the Department. An institution’s failure to submit disbursement records within the required timeframe may result in the Department rejecting all or part of the reported disbursement. Such failure may also result in an audit or program review finding or the initiation of an adverse action, such as a fine or other penalty for such failure, in accordance with subpart G of the General Provisions regulations in 34 CFR part 668. Deadline Dates for Enrollment Reporting by Institutions. In accordance with 34 CFR 674.19(f), 682.610(c), 685.309(b), and 690.83(b)(2), upon receipt of an enrollment report from the Secretary, institutions must update all information included in the report and return the report to the Secretary in a manner and format prescribed by the Secretary and within the timeframe prescribed by the Secretary. Consistent with the National Student Loan Data System (NSLDS) Enrollment Reporting Guide, the Secretary has determined that institutions must report at least every two months. Institutions may find the NSLDS Enrollment Reporting Guide on the Information for Financial Aid Professionals website at https://ifap.ed.gov. We publish a detailed discussion of the Federal student aid application process in the Application and Verification Guide volume of the 2018-2019 Federal Student Aid Handbook and in the 2018-2019 ISIR Guide. Information on the institutional reporting requirements for the Pell Grant, Iraq and Afghanistan Service Grant, Direct Loan, and TEACH Grant programs is included in the 2018-2019 Common Origination and Disbursement (COD) Technical Reference. Also, see the NSLDS Enrollment Reporting Guide. You may access these publications by selecting the “iLibrary” link at the Information for Financial Aid Professionals website at: https://ifap.ed.gov. Additionally, the 2018-2019 award year reporting deadline dates for the Federal Perkins Loan, FWS, and FSEOG programs were published in the Federal Register on January 3, 2018 (83 FR 356). (1) Student Assistance General Provisions, 34 CFR part 668. (2) Federal Pell Grant Program, 34 CFR part 690. (3) William D. Ford Direct Loan Program, 34 CFR part 685. (4) Teacher Education Assistance for College and Higher Education Grant Program, 34 CFR part 686. Electronic Access to This Document: The official version of this document is the document published in the Federal Register. You may access the official edition of the Federal Register and the Code of Federal Regulations via the Federal Digital System at: www.gpo.gov/​fdsys. At this site you can view this document, as well as all other documents of this Department published in the Federal Register, in text or Portable Document Format (PDF). To use PDF you must have Adobe Acrobat Reader, which is available free at the site. 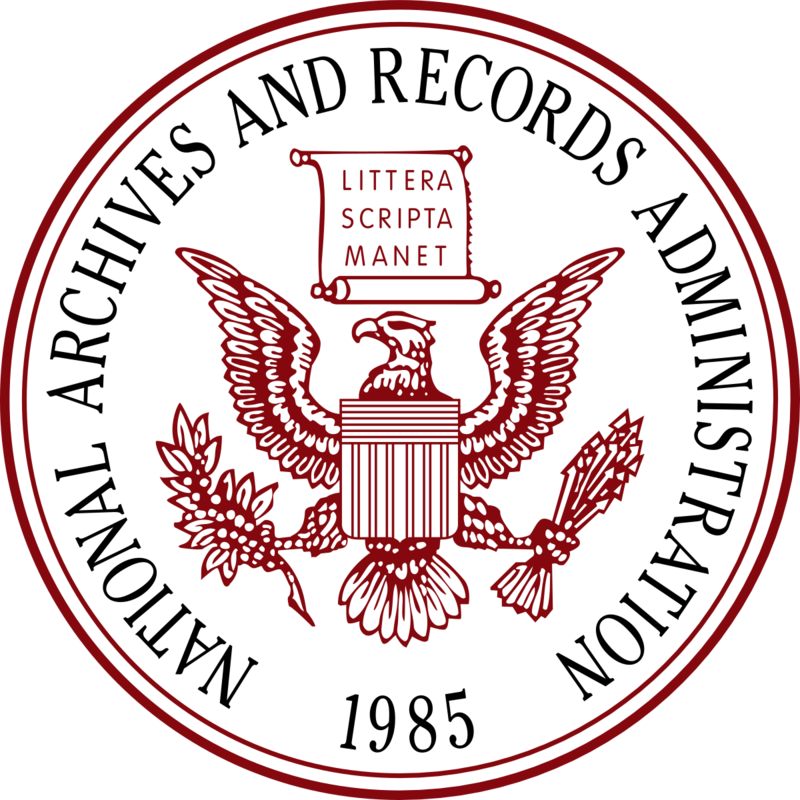 You may also access documents of the Department published in the Federal Register by using the article search feature at: www.federalregister.gov.Specifically, through the advanced search feature at this site, you can limit your search to documents published by the Department. Program Authority: 20 U.S.C. 1070a, 1070a-1, 1070b-1070b-4, 1070g, 1070h, 1087a-1087j, and 1087aa-1087ii; 42 U.S.C. 2751-2756b. Acting Chief Operating Officer, Federal Student Aid. What is the deadline date for receipt? Student FAFSA—“FAFSA on the Web” (original or renewal) Electronically to the Department’s Central Processing System (CPS) 1 June 30, 2019. Signature page (if required) To the address printed on the signature page September 14, 2019. Student through an Institution An electronic FAFSA (original or renewal) Electronically to the Department’s CPS using “Electronic Data Exchange” (EDE) or “FAA Access to CPS Online” 1 June 30, 2019. Student A paper original FAFSA To the address printed on the FAFSA or envelope provided with the FAFSA June 30, 2019. Student Electronic corrections to the FAFSA using “Corrections on the Web” Electronically to the Department’s CPS 1 September 14, 2019. Student through an Institution Electronic corrections to the FAFSA Electronically to the Department’s CPS using EDE or “FAA Access to CPS Online” 1 September 14, 2019. Student Paper corrections to the FAFSA using a SAR, including change of mailing and email addresses and change of institutions To the address printed on the SAR September 14, 2019. Student Change of mailing and email addresses, change of institutions, or requests for a duplicate SAR To the Federal Student Aid Information Center by calling 1-800-433-3243 September 14, 2019. Student A SAR with an official EFC calculated by the Department’s CPS, except for Parent PLUS Loans and Direct Unsubsidized Loans made to a dependent student under HEA section 479A(a), for which the ISIR does not need to have an official EFC To the institution The earlier of: — The student’s last date of enrollment for the 2018-2019 award year; or — 2 September 21, 2019. Student through CPS Valid ISIR (Pell Grant, FSEOG, FWS, and Direct Subsidized Loans) To the institution from the Department’s CPS — The student’s last date of enrollment for the 2018-2019 award year; or — 2 September 21, 2019. — 2 September 21, 2019. Institution Identity and high school completion verification results for a student selected for verification by the Department and placed in Verification Tracking Group V4 or V5 Electronically to the Department’s CPS using “FAA Access to CPS Online” 4 60 days following the institution’s first request to the student to submit the required V4 or V5 identity and high school completion documentation. 1 The deadline for electronic transactions is 11:59 p.m. (Central Time) on the deadline date. Transmissions must be completed and accepted before 12:00 midnight to meet the deadline. If transmissions are started before 12:00 midnight but are not completed until after 12:00 midnight, those transmissions do not meet the deadline. In addition, any transmission submitted on or just prior to the deadline date that is rejected may not be reprocessed because the deadline will have passed by the time the user gets the information notifying him or her of the rejection. 3 Although the Secretary has set this deadline date for the submission of verification documents, if corrections are required, deadline dates for submission of paper or electronic corrections and, for Pell Grant applicants and applicants selected for verification, deadline dates for the submission of a valid SAR or valid ISIR to the institution must still be met. An institution may establish an earlier deadline for the submission of verification documents for purposes of the campus-based programs and the Direct Loan Program, but it cannot be later than this deadline date. 4 Note that changes to previously submitted Identity Verification Results must be updated within 30 days of the institution becoming aware that a change has occurred. Under what circumstances is it submitted? What are the deadlines for disbursement and for submission of records and information? Pell Grant, Direct Loan, TEACH Grant, and Iraq and Afghanistan Service Grant programs An origination or disbursement record The institution has made or intends to make a disbursement To the Common Origination and Disbursement (COD) System using the Student Aid Internet Gateway (SAIG); or to the COD System using the COD website at: https://cod.ed.gov The earliest disbursement date is January 31, 2018. The earliest submission date for anticipated disbursement information is March 25, 2018. The earliest submission date for actual disbursement information is March 25, 2018, but no earlier than: (a) 7 calendar days prior to the disbursement date under the advance payment method or the Heightened Cash Monitoring Payment Method 1 (HCM1); or (b) The disbursement date under the reimbursement or the Heightened Cash Monitoring Payment Method 2 (HCM2). Pell Grant, Iraq and Afghanistan Service Grant, and TEACH Grant programs An origination or disbursement record The institution has made a disbursement and will submit records on or before the deadline submission date To COD using SAIG; or to COD using the COD website at: https://cod.ed.gov The deadline submission date 2 is the earlier of: (a) 15 calendar days after the institution makes a disbursement or becomes aware of the need to make an adjustment to previously reported disbursement data, except that records for disbursements made between January 31, 2018 and March 25, 2018 must be submitted no later than April 9, 2018; or (b) September 30, 2019. Direct Loan Program An origination or disbursement record The institution has made a disbursement and will submit records on or before the deadline submission date To COD using SAIG; or to COD using the COD website at: https://cod.ed.gov The deadline submission date 2 is the earlier of: (a) 15 calendar days after the institution makes a disbursement or becomes aware of the need to make an adjustment to previously reported disbursement data, except that records of disbursements made between October 1, 2017 and March 25, 2018, may be submitted no later than April 9, 2018; or (b) July 31, 2020. Pell Grant and Iraq and Afghanistan Service Grant programs A downward adjustment to an origination or disbursement record It is after the deadline submission date To COD using SAIG; or to COD using the COD website at: https://cod.ed.gov No later than September 30, 2024. Pell Grant and Iraq and Afghanistan Service Grant programs An origination or disbursement record It is after the deadline submission date and the institution has received approval of its request for an extension to the deadline submission date Requests for extensions to the established submission deadlines may be made for reasons including, but not limited to: (a) A program review or initial audit finding under 34 CFR 690.83; (b) A late disbursement under 34 CFR 668.164(j); or (c) Disbursements previously blocked as a result of another institution failing to post a downward adjustment Via the COD website at: https://cod.ed.gov The earlier of: (a) When the institution is fully reconciled and is ready to submit all additional data for the program and the award year; or (b) September 30, 2024. TEACH Grant and Direct Loan programs When the institution is fully reconciled and is ready to submit all additional data for the program and the award year. Pell Grant and Iraq and Afghanistan Service Grant programs An origination or disbursement record It is after the deadline submission date and the institution has received approval of its request for an extension to the deadline submission date based on a natural disaster, other unusual circumstances, or an administrative error made by the Department Via the COD website at: https://cod.ed.gov The earlier of: (a) A date designated by the Secretary after consultation with the institution; or (b) February 1, 2020. Pell Grant and Iraq and Afghanistan Service Grant programs An origination or disbursement record It is after the deadline submission date and the institution has received approval of its request for administrative relief to extend the deadline submission date based on a student’s reentry to the institution within 180 days after initially withdrawing 3 Via the COD website at: https://cod.ed.gov The earlier of: (a) 15 days after the student reenrolls; or (b) May 1, 2020. 1 A COD Processing Year is a period of time in which institutions are permitted to submit Direct Loan records to the COD System that are related to a given award year. For a Direct Loan, the period of time includes loans that have a loan period covering any day in the 2018-2019 award year. 2 Transmissions must be completed and accepted before the designated processing time on the deadline submission date. The designated processing time is published annually via an electronic announcement posted to the Information for Financial Aid Professionals website (https://ifap.ed.gov). If transmissions are started at the designated time, but are not completed until after the designated time, those transmissions will not meet the deadline. In addition, any transmission submitted on or just prior to the deadline date that is rejected may not be reprocessed because the deadline will have passed by the time the user gets the information notifying him or her of the rejection. Note: The COD System must accept origination data for a student from an institution before it accepts disbursement information from the institution for that student. Institutions may submit origination and disbursement data for a student in the same transmission. However, if the origination data is rejected, the disbursement data is rejected.